Packers safeties coach Darren Perry has been released to pursue other opportunities, the team reported on Monday. Perry asked for his release and it was granted by head coach Mike McCarthy, the Milwaukee Journal Sentinel’s Tom Silverstein hears (Twitter link). Silverstein also notes (Twitter link) that McCarthy wanted Perry to return, but named Jason Simmons secondary coach, who would be over both cornerbacks and safeties. 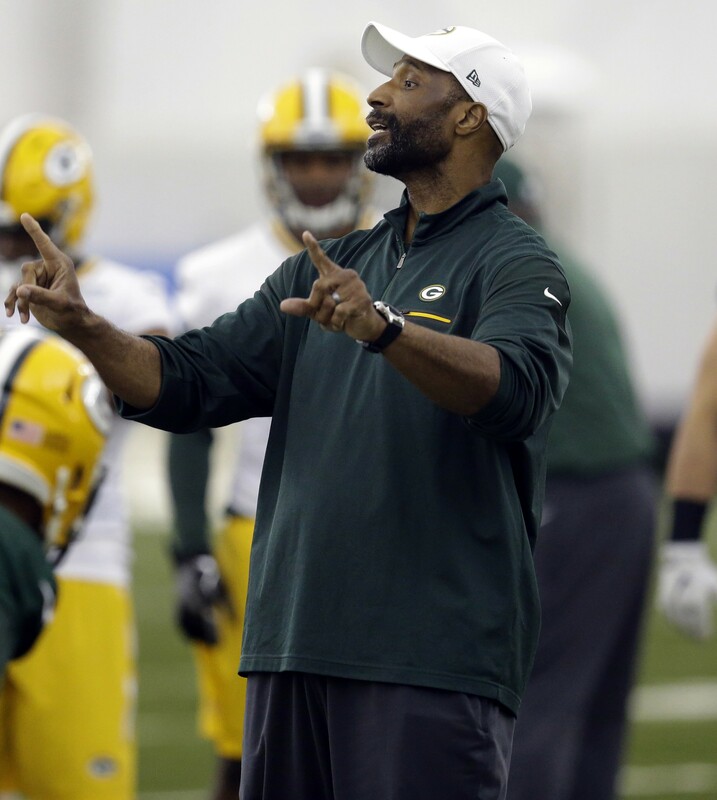 Perry had served as safeties coach with the Packers since 2009 and coached in the secondary for the Bengals, Steelers and Raiders before moving to Green Bay. Earlier this month, Perry received interest from the Titans, possibly for their defensive coordinator role under new head coach Mike Vrabel, Paul Kuharsky reported (Twitter link). It is just the latest bit of reshuffling in Green Bay’s busy offseason. After the end of the regular season, longtime general manager Ted Thompson was reassigned. He was replaced by the team’s director of college scouting Brian Gutekunst. The team also added new defensive coordinator Mike Pettine. Titans Interested In Darren Perry For DC? The Titans and new head coach Mike Vrabel have interest in hiring Packers cornerbacks coach Darren Perry, according to Paul Kuharsky of PaulKuharsky.com (Twitter link). While it’s unclear exactly what title Perry would potentially hold, Tennessee may want him to serve as defensive coordinator, per Kuharsky. Perry, 49, was one of three internal candidates to interview for the vacant Green Bay defensive coordinator job earlier this offseason, but was passed over in favor of former Browns head coach Mike Pettine. He’s since interviewed for an assistant position with the Texans, but reports have indicated Perry could choose to stay with the Packers. Perry, who enjoyed a nine-year playing career, joined the coaching ranks in 2002 and has spent time in Cincinnati, Pittsburgh, and Oakland. Former Cowboys linebackers coach Matt Eberflus will reportedly become the Colts’ next defensive coordinator under presumptive head coach Josh McDaniels, but Dallas was willing to promote Eberflus to DC in order to retain him, according to Todd Archer of ESPN.com. The Cowboys would have named current defensive coordinator Rod Marinelli assistant head coach, paving the way for Ebeflus to become the club’s new defensive play-caller. But Eberflus “did not want to step on the toes” of Marinelli, per Archer, and therefore decided to head to Indianapolis. The Falcons are interviewing former UCLA offensive coordinator/interim head coach Jedd Fisch and longtime NFL coach Greg Knapp for their quarterback coach position, per Jason La Canfora of CBSSports.com (Twitter link) and Alex Marvez of the Sporting News (Twitter link). Fisch, 41, has served in both the collegiate and pro ranks over the past 20 years. In the NFL, Fisch was the Jaguars’ offensive coordinator from 2013-14, and has also worked for the Texans, Ravens, Broncos, and Seahawks, mostly as a quarterbacks or wide receivers coach. Knapp, meanwhile, has coordinated offenses for the 49ers, Falcons, Raiders (two stints), and Seahawks, but was most recently the Broncos’ QBs coach from 2013-16. Now that he’s been passed over for a promotion to Packers defensive coordinator, cornerbacks coach Darren Perry is interviewing to become the Texans‘ secondary coach, according to Marvez (Twitter link). Perry, who’s worked in Green Bay since 2009, would replace John Butler, who was fired by Houston earlier this month. One of three internal candidates to replace former Packers DC Dom Capers, Perry could now leave Green Bay given that Mike Pettine is leading the club’s defense. However, Perry isn’t a lock to defect from the Packers, per Tom Silverstein of the Milwaukee Journal Sentinel, while Texans assistant defensive backs coach Anthony Midget is also in the running for Houston’s secondary coach job, tweets John McClain of the Houston Chronicle. The Buccaneers have exercised their 2018 club options for each of their assistant coaches, reports Rick Stroud of the Tampa Bay Times (Twitter link). That should come as no surprise, given that Tampa Bay made the relatively surprising decision to retain head coach Dirk Koetter. However, there could be several “tweaks” to the Buccaneers’ coaching staff, per Stroud, although it’s unclear what those changes might entail. Koetter is signed through the 2020 campaign, while general manager Jason Licht recently had his 2018 option picked up. Assistant defensive backs coach Daylon McCutcheon will not return to the Jets in 2018, sources tell Manish Mehta of the New York Daily News. McCutcheon, who worked in New York for the past two seasons, will leave the club in order to move closer to his family on the West Coast, per Mehta. The Chiefs could promote running backs coach Eric Bieniemy to offensive coordinator, Ian Rapoport of NFL.com hears (on Twitter). Rapoport adds that he has “the inside track.” The vacancy opened up this weekend when Matt Nagy agreed to become the next head coach of the Bears. Packers secondary coach Darren Perry interviewed for the team’s defensive coordinator position on Monday, according to Alex Marvez of The Sporting News (on Twitter). The interview was originally scheduled for Saturday, but was delayed due to the team’s front office reorganization. Contrary to a previous report, former Bengals offensive coordinator Ken Zampese was not interviewed by the Browns on Monday, Mary Kay Cabot of Cleveland.com tweets. When he does interview with the team, it will be for an offensive assistant job and not necessarily for the OC position. The Raiders will officially ink contracts with offensive coordinator Greg Olson and defensive coordinator Paul Guenther before the big Jon Gruden press conference, sources tell Ian Rapoport of NFL.com (on Twitter). The Bengals announced the signing of Bob Bicknell as the team’s new wide receivers coach. Bicknell, who has 25 years of professional and collegiate coaching experience, was Baylor University’s WRs coach in 2017. Meanwhile, defensive line coach Jacob Burney has been retained with a new two-year contract extension (Twitter link via Alex Marvez of The Sporting News). Now that the Packers have officially promoted incumbent executive Brian Gutekunst to general manager, Green Bay director of football operations Eliot Wolf is unlikely to ever become GM of the Packers, as Tom Silverstein of the Milwaukee Journal Sentinel notes (Twitter links). Wolf is expected to garner a GM job elsewhere before the Green Bay position ever opens again, as he’s drawn interested from other clubs in the recent past. However, the Packers will attempt to convince Wolf to remain with the team, per Silverstein. One additional note on the Packers’ general manager search: although Green Bay had interest in meeting with Ravens assistant general manager Eric DeCosta, the Baltimore executive turned down an interview request on Saturday night, per Ian Rapoport of NFL.com (Twitter link). Incumbent safeties coach Darren Perry interviewed for the Packers’ defensive coordinator job on Saturday and is viewed as the favorite to land the position, according to Alex Marvez of the Sporting News (Twitter link). That news conflicts with a recent report from Rob Demovsky of ESPN.com, who indicated last week that Green Bay cornerbacks coach Joe Whitt was the frontrunner to be promoted to DC. Perry, 49, began his Packers coaching career in 2009 after spending time in Cincinnati, Pittsburgh, and Oakland. While Perry could be given a promotion in Green Bay, former offensive coordinator Edgar Bennett appears to be moving on, tweets Silverstein. Bennett, who did not call offensive plays for the Packers, was re-assigned last week, but he should be able to find another coaching position given the level of turnover throughout the NFL, per Silverstein. Colts offensive line coach Joe Philbin is expected to be hired for a second stint in Green Bay, and although he may not take Bennett’s old title as OC, he’s likely to handle many of Bennett’s prior duties. The Packers should be expected to add competition for backup quarterback Brett Hundley, writes Ryan Wood of the Green Bay Press-Gazette. While Green Bay had originally planned to deal Hundley (and nearly did so during the draft), the former fifth-round pick’s lackluster production while filling in for Aaron Rodgers is likely to hinder those intentions. Indeed, the Packers attempted to sign veteran signal-caller Brian Hoyer in November as the club was trying to keep its postseason hopes alive. Green Bay recently worked out offensive lineman Jordan McCray, the brother of Packers guard Justin McCray, reports Demovsky. Both McCrays were undrafted free agents out of UCF in 2014, but Jordan has yet to appear in an NFL game. The Packers are seeking to interview Lions defensive coordinator Teryl Austin for their vacant defensive coordinator position, a source tells NFL.com’s Ian Rapoport (on Twitter). The team will also their own secondary coach Darren Perry for the same job. Austin figures to be a popular name this offseason. In early December, the Fritz Pollard Alliance listed him as one of four excellent minority candidates for head coaching jobs. The Lions met with Austin this week to discuss their own head coaching vacancy and the Bengals are meeting with Austin on Friday to about their DC opening. Austin interviewed for a dozen head coaching positions over the past three seasons, but has not yet been given his shot. If he is unable to land a head coaching job this offseason, he may look to build his DC resume elsewhere. The Packers would give Austin the opportunity to hook on with a potential contender and make the Lions regret overlooking him. The Packers’ search for a new defensive coordinator is getting started. And the early interview list has some striking similarities to the GM queue. Assistant coaches Winston Moss, Darren Perry, and Joe Whitt will interview to become the new DC, coach Mike McCarthy announced on Thursday. McCarthy stressed the importance of the job while noting that the team will also consider external candidates. 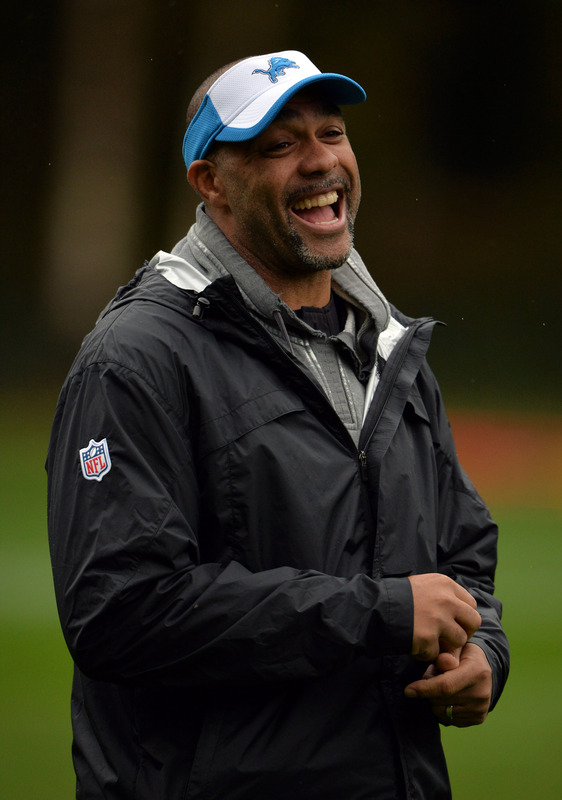 Moss, 53, is also up for the Lions’ head coaching vacancy. Like Moss, Perry and Whitt have been with the organization for years and offer familiarity with the system put in place by former DC Dom Capers. Dom Capers‘ nine-season tenure as the Packers’ defensive coordinator looks to be over. Green Bay will part ways with Capers, Rob Demovsky of ESPN.com reports. This was the expected course of action for a Packers team that saw its eight-year playoff streak end this season. Demovsky adds there will be more changes on Green Bay’s defensive staff. Packers safeties coach Darren Perry is expected to receive consideration, Tom Silverstein of the Milwaukee Journal Sentinel tweets. The 67-year-old Capers has been a DC since his stellar work with the Steelers in the early 1990s. Twice a head coach, Capers could well be in demand by other teams as a defensive leader despite this dismissal. He’s been on an NFL sideline since the 1986 season. Capers, though, has had the task of leading a defense for a franchise that largely eschews free agent help. He’s mostly coached players Ted Thompson‘s brought in through the draft, and the results have not been especially solid in recent years. Both the 2016 and 2017 Green Bay defenses have ranked 22nd in total defense, while the 2015 unit ranked 15th. This marks just the third time Mike McCarthy’s fired a coordinator in 12 years as Green Bay’s HC. 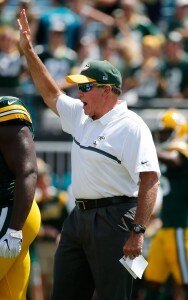 His ouster of Bob Sanders after the 2008 season brought Capers to Green Bay. Capers’ units have been tasked with operating on a team led by Aaron Rodgers and have naturally been viewed as the weaker part of the Packers during the All-Pro-caliber quarterback’s run. Thompson, though, has used steady draft resources to aid the unit in recent years, using first- or second-round picks on the likes of Kenny Clark, Damarious Randall, Ha Ha Clinton-Dix, Kevin King, Quinten Rollins and Josh Jones. Injuries have also limited Green Bay’s defenses in recent years. Due to the franchise’s continuity-centric ways, almost none of the team’s defenders has played in a different defensive system than Capers’ version of the 3-4, so it will be interesting to see how Thompson and Co. go about filling this vacancy. Demovsky notes Vic Fangio, who also runs a 3-4, could be a candidate. A former Steelers defensive back under Capers, Perry has coached the Packers’ safeties throughout Capers’ tenure as DC. The Buccaneers have parted ways with quarterbacks coach and interim offensive coordinator Marcus Arroyo, according to Rick Stroud of the Tampa Bay Times (via Twitter). Arroyo stepped in to run Tampa Bay’s offense during the 2014 season during Jeff Tedford‘s absence, but hadn’t been mentioned as a candidate to step into the role permanently since the team officially let Tedford go at season’s end. Let’s round up a few more afternoon news items and rumors on the coaching front…. One coach the Buccaneers tried to interview for their OC opening was Mike Mularkey of the Titans, but Tennessee turned them down. John Fox and the Bears are expected to seek permission to speak to Mularkey about the offensive coordinator position in Chicago, according to Mike Garafolo of FOX Sports (via Twitter), so we’ll see if the Titans say no to Fox as well. Following Teryl Austin‘s lead, Doug Marrone has canceled his head coaching interview with the Broncos, which had been scheduled for Saturday, tweets Adam Schefter of ESPN.com. Marrone will wait to see what happens with Gary Kubiak, who is set to talk to Denver on Sunday, and is viewed as the frontrunner for the position. Despite some initial uncertainty at the end of the regular season, defensive coordinator Kevin Coyle will remain with the Dolphins for the 2015 campaign under head coach Joe Philbin, writes Armando Salguero of the Miami Herald. Current and former Falcons coaches are among Jack Del Rio‘s targets for the Raiders, according to Bill Williamson of ESPN.com and Dianna Marie Russini of NBC 4 in Washington (Twitter links). Williamson continues to hear that Del Rio has interest in Mike Tice, but Atlanta won’t give the Raiders permission to interview the offensive line coach. Per Russini, Del Rio is trying to hire Mike Smith as his defensive coordinator, but it most likely won’t happen. Russini (Twitter link) is hearing that Mike Shanahan may be in play for the 49ers‘ offensive coordinator job under Jim Tomsula. Former Bills offensive coordinator Nate Hackett is interviewing with the Jaguars today for the team’s OC opening, tweets Ryan O’Halloran of the Florida Times-Union. Adam Caplan of ESPN.com (Twitter link) hears that at least two other clubs are also interested in Hackett. We can also add the Jaguars to the list of teams looking to interview Adam Gase for their offensive coordinator opening, tweets Schefter. The Falcons and Rams want to speak to Gase about an OC role as well. If Teryl Austin lands the Falcons‘ head coaching job, Packers safeties coach Darren Perry looks like a candidate to become his defensive coordinator, according to Michael Rothstein of ESPN.com (Twitter link).